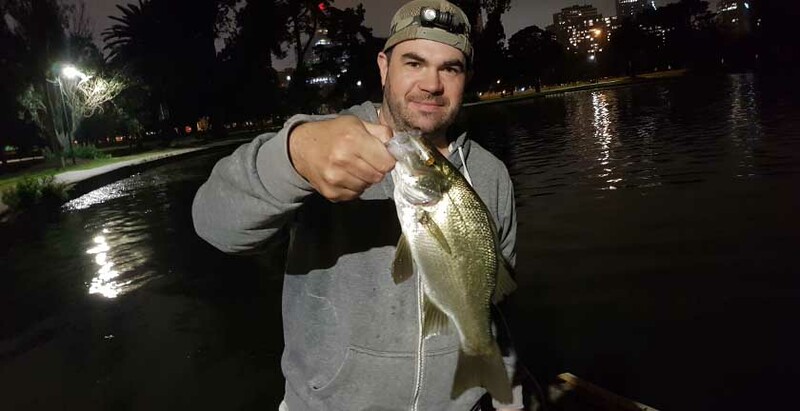 Fishing Report Albert Park Lake. A fishing session between good mates Alan and Nick Keeling at Albert Park lake. It was a stormy evening and the guys were keen to test some newly release soft plastics to the market. The Savage Gear 5cm pro grubs in UV bloody gold. 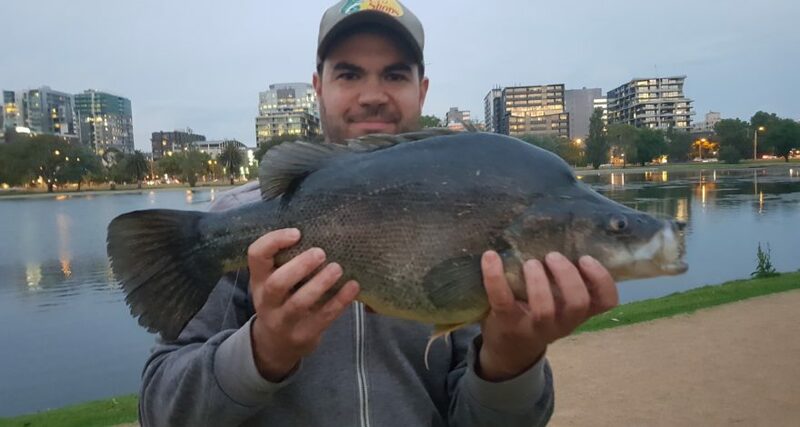 As Nick makes his first cast, he asks “Do you think these are any good” a second later he hooks up to a monster 58cm Golden perch, our response “yeah, they seem pretty good”. We fished several stretches of the river catching 1 Golden Perch and 5 estuary perch. Surprisingly we saw a few large eels floating on the surface perhaps oxygen levels from storm water or wash up had the water in poor condition.